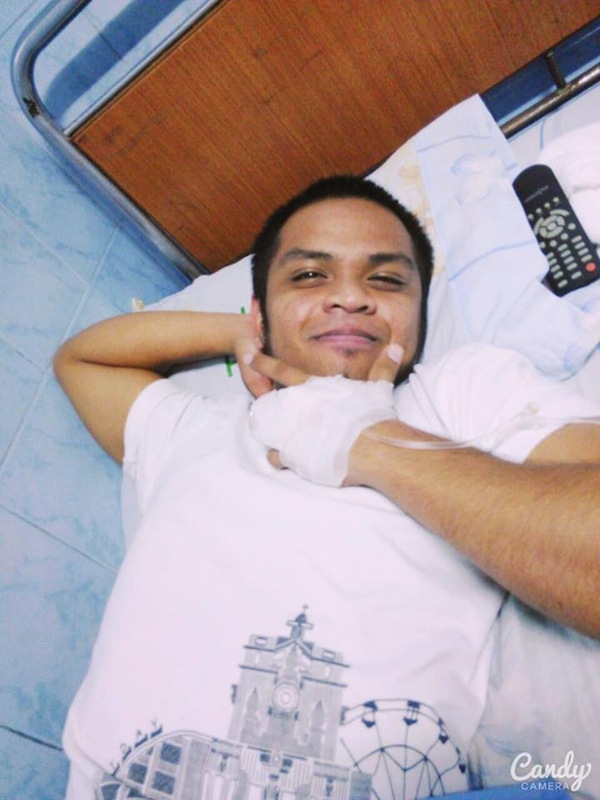 My son, Irvin Jason, "Aton," as he is fondly called, was diagnosed with Dengue Fever. This is the second time one of my children had the disease. In 2012, it was my youngest son who got sick. I can't believe how dangerous the mosquitoes in Manila are! Aton's brush with Dengue was worse than Mickey's. I am writing this post to increase vigilance in spotting the tell-tale signs of Dengue. October 13, 2014, Monday. Aton called me from the dorm informing me that he was running a fever. The first thing that came to my mind was, "Oh my God. I hope he did not get Leptospirosis!" I remembered the day before he said waded in knee deep flood to get to the dorm. I told him to take lots of fluids, paracetamol every 4-6 hours and rest. October 14, 2014, Tuesday. Aton's girlfriend, Marga sent me a text message saying Aton was still running a fever. I asked her if she could accompany Aton to the Student Clinic at UST. She said Aton was still weak and that they will go to there the next morning. I was getting several texts from Marga throughout the day, giving me updates on Aton's temperature. I noticed that his fever showed a spiking trend. I prayed that it would not be Dengue. October 15, 2014, Wednesday. Aton and Marga went to the Student Clinic. Aton was instructed to continue taking paracetamol for the fever. The doctor said that if his temperature would still rise throughout the day, he should go back to have a blood test. At this time, Aton was already feeling weak and exhausted. October 16, 2014, Thursday. My son headed back to the Student Clinic for a blood test. The results showed that his White Blood Cell count was way below the normal range. He was given admitting orders to a hospital. The working diagnosis was Typhoid Fever, to rule out Dengue Fever. October 17, 2014, Friday. Marga took Aton home so that he could be confined to a hospital here in Quezon City. Aton was pale and weak. I was able to reserve a hospital room for him in a small hospital near our house. With only a few thousand pesos to my name, I had him admitted. I wanted my boy to be well again. A low white blood cell count would make him susceptible to other infections. In the emergency room, they took another blood sample for a repeat blood count and a Dengue test. October 18, 2014, Saturday. The attending physician gives us the dreaded news. Aton tested positive for Dengue and that his platelet count was starting to drop. They did a fast drip for his intravenous fluid replacement. Aton was getting one liter of IV fluid every 6 hours. His platelet count upon admission was 151. He had two platelet counts today. The 8am result was 148, the 8pm results showed his platelet count dropped to 131. At this point, they had to monitor the color of his stool to check for signs of internal bleeding. Aton was not even allowed to brush his teeth for the same reason. October 20, 2014, Monday. My son's white blood cells and platelet count increased! His white blood cell count was now at 4.9 and his platelet count is now 135. The attending physician said it is a good sign that my boy is recovering. He ordered another blood test for the evening. The doctor said that if the 8pm results and tomorrow's results would show an upward trend, he can be discharged from the hospital tomorrow afternoon. After the doctor left the room, I made my son drink the tea again. It was at this point that his girlfriend was already "force-feeding" him the tea. October 21, 2014, Tuesday. I was at work when my son sent me a text message informing me that the doctor gave him the discharge orders. Thank you, Lord! My boy is going to be fine! I asked my son if he was given the hospital bill. When my son told me how much I needed to pay, I almost fainted. I did not have that much money! My mom, my sisters and brother, and my daughter gave me some money to help with the bill but it was not enough. I had to find a loan shark to complete the amount needed. My son is finally home and will be back in school on Friday. October 22, 2014, Wednesday. I started a fundraiser with GiveForward to help me pay off the loan I incurred and for medical assistance to cover the follow up blood tests for my son. Being a brand ambassador for GiveForward, I did not find any difficulty in going through the initial steps. My major roadblock was finding a relative who is a US citizen and is presently residing in the US where they can send the donation money to. I tried to contact my cousins to ask if they would be willing to act as my Funds Manager. They never replied back to my emails. I guess being granted US citizenship changes the way people regard themselves. I asked friends instead. I know someone out there would be willing to help me out to get the fundraising campaign running. God bless my blogging friend, Rose. She replied to my email and was willing to help me out with this. She is what GiveForward calls "unexpected joy." October 23, 2014, Thursday. I will email Rose back. She has a good heart indeed. Despite her own worries, she still reached out and offered her help. Rose is also in a difficult time, her sister is sick and is depending on her to help out with the the medical expenses. I will recommend her to GiveForward, so she too, can experience "unexpected joy." I know this is such a lengthy post. I just poured out my emotions on the very stressful two weeks that passed. I have learned a lot from the experience and I know that help can come when we least expect it. I thank the Lord for everything, and I ask Him to bless the people who stayed with me during this difficult time in my life. P.S. As of this day and time, (30 October 2014) I emailed my fundraising coach to notify him that I am not pushing through with my fundraiser. I have found ways to pay off my loan and that I felt it was unfair to continue. There are other people more in need than me. I have been blessed and I have decided to share the blessings in whatever way I can. Thank you for all your words of concern, well-wishes and prayers. May it all come back to you a thousand fold. Thank you for hearing you experience, and very happy to know your son is doing well. Hoping you receive many more of those "unexpected joys"
Eileen, I am so glad your son is better now - what an awful time for all of you. Thanks for sharing the information about tawa-tawa and GiveForward. I am a firm believer in natural remedies and tawa-tawa sounds like a winner. Wonder if I can find a plant to grow as a houseplant here in Canada. Oh my! I cannot even imagine the stress!!! I am so happy that your son has recovered. What a nightmare Eileen. Were you ever worried about Ebola? We've had quite the run of it with 10 people infected now in the USA. One person dying. You are truly blessed by God's mercy. And how wonderful to have a happy ending for you all. Here's to new and healthy beginnings. 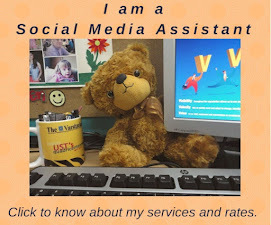 This is my first visit to your blog so please let me first share that I just love your profile image! I am so sorry about your son's illness however, and while I have heard of Dengue Fever I will admit until I read your article I knew nothing about it. I can't even say if or where it might be a problem in the US but I will gladly share your article a large percentage of the population where I live (Hawaii) are from the Philippines and visit family regularly. I'm glad Aton is okay. This is kind of a scary read. I am glad that your son recovered. What a scary experience! I am so glad that your son is getting better. I hope he will be perfect soon. This is very necessary that we take precautions. In Pakistan hardly any patient with dengue survives as of poor medical conditions and unawareness. As when they bother to visit hospital its the last stage. This post will benefit many. I am so happy for you as I know first hand how terrible this disease can be. I had dengue in the 90's and lost 30 pounds in weight. It is a rough disease delivered by an invisible predator. I cannot even imagine how it must have been for you and am very pleased to read that it all worked out well. All the best to you and your son. You are the kindest person I know sis. I just wish I could have helped you but despite your own problems, you still managed to extend your help to my sister. May God continue to heal your son and bless your family with so much love and of great health! Thank you for this inspiring post, mwah! that kind of sickness due to a mosquito in our place is quite scary and frustrating and got so many questions why.... i'm glad that your son is now better, but it is going to be more complicated for him the next time he will be diagnosed with that sickness again. Glad to know that your son is ok now....wow, I didn't know that..I have a few one in my yard...I thought it's just weeds! I'm glad your son is well. It's eye opening to hear of you having to worry so much about the financial end of it. In Canada we have very good health care insurance at minimal cost to no cost if the person has no income. In addition I have extended benefits through my work. I can not imagine having to worry about money when I was worrying about my son's health. I'm so glad he is OK. I'm glad your son is recovering and continue to do so. What a scary time for your family! Thank you for sharing your story. Aren't herbs amazing? I really believe that your tea concoction aided your son's recovery. Why don't doctor's use herbal remedies? Instead, they rely on pharmaceutical companies to create some chemical in a lab. It boggles my mind. I'm so glad your son is better! Hi sis, health is truly wealth. Hmmm I wonder how you convinced Aton to pose hehehe. My boys are too camera shy ☺.